Ernesto Valverde names his eighteen players for the 9.00pm CET kick-off at Camp Nou on Wednesday, with the injured Leo Messi not among them. GET TICKETS! Ernesto Valverde has named his squad of 18 for Wednesday’s Champions League encounter with Inter Milan, and it’s as follows: Ter Stegen, Semedo, Piqué, Rakitic, Sergio Busquets, Coutinho, Arthur, Luis Suárez, Dembélé, Rafinha, Cillessen, Malcom, Lenglet, Jordi Alba, Munir, Sergi Roberto, Vidal and Chumi. That means no places for Denis Suárez, Samper or Aleñá, while Messi, Umtiti and Vermaelen are missing through injury. 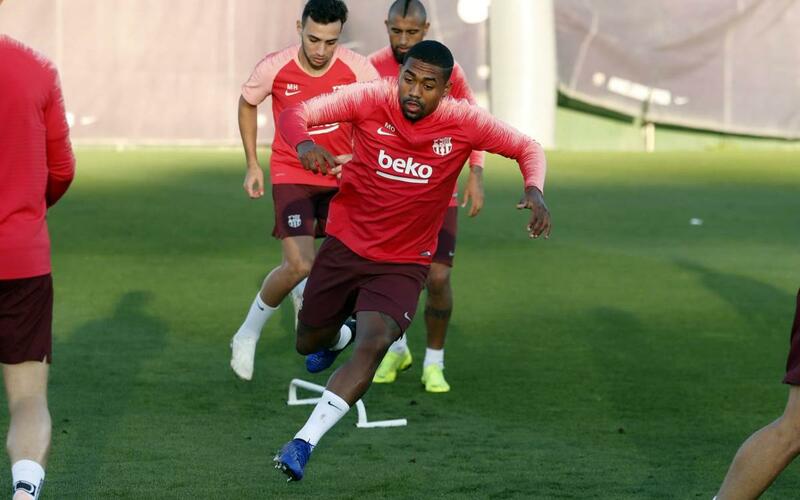 The team trained for one last time on the Tito Vilanova field before the game on Tuesday evening, with Luis Suárez absent with the coach’s blessing to attend to a personal affair. The first team were joined by Iñaki Peña and Juan Brandariz Movilla, better known as Chumi, from Barça B. The latter, a left-footed centre back, has been named in a Champions League squad for the first time as cover for the injuries in the Barça back line, as he was for Saturday's league game against Sevilla.